Home > Career > UPPCL Recruitment 2018 Dates, Eligibility, application process & more! 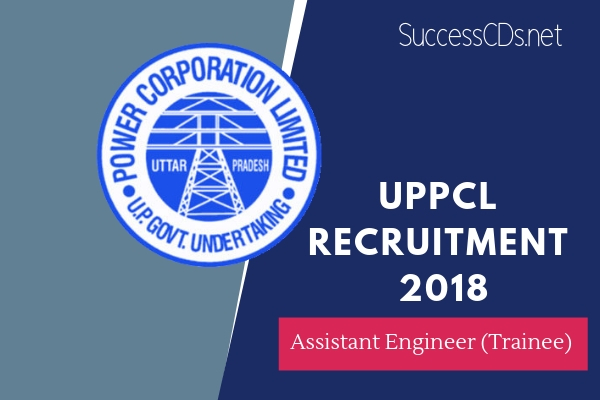 UPPCL Recruitment 2018: UPPCL that is Uttar Pradesh Power Corporation Ltd. was established on 14th January 2000. This corporation was the result of the power sector reforms in Uttar Pradesh, India. This is the corporation that is found responsible for both the planning as well as managing the sector. Recently the corporation has announced the UPPCL Vacancy 2018. Below you will find all the information on these vacancies. UPPCL Recruitment 2018 – 299 Assistant Engineer (Trainee) Jobs: Electricity Service Commission, Uttar Pradesh Power Corporation Limited (UPPCL), Lucknow has issued an employment notification for recruitment to 299 posts of Assistant Engineer (Trainee) under E&M Cadre & Civil Cadre. Candidates may submit online application from 6th November 2018 to 30th November 2018. Below is the complete information on the UPPCL recruitment for 2018. Application fee charges for Assistant Engineer (Trainee) post are Rs.700/- for Scheduled Caste (SC) / Scheduled Tribe (ST) Candidates of Uttar Pradesh, Rs.1000/- for General Category/ Other Backward Classes (OBC) and candidates of other state and Rs. 10 for PH Candidates. Fee can be pay either through Online Payment Mode using Net Banking/ Debit Card / Credit Card or Offline using Bank challan to pay any branch of State Bank of India (SBI). Candidates may apply online through official website of Uttar Pradesh Power Corporation Limited (UPPCL) www.uppcl.org from 6th November 2018 to 30th November 2018.